A warm welcome to anyone that is looking at the forum for the first time or to those returning again and again. The site is coming up for five years old on the 1st April 2014.
please post your efforts for others to see. There is a search button to help with finding that certain something that you are looking to make, so good luck and a very happy twisting. Both links are at the top of every page. 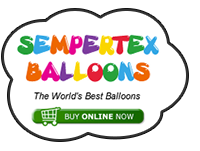 The company name is balloon art wholesale and if you are looking for anything balloon related then please pop over and have a look. 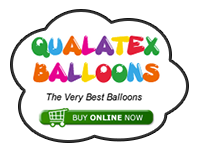 The Qualatex website is set up as a retail store, we do offer wholesale prices so please get in touch, thanks for reading. Ooh, are we doing anything special for our 5th Brithday?? I think we should all post a picture of a balloon "5th Birthday" cake!!! I'd love to have a 5th b-day. Hmmm, every reincarnation of the number 5.....birthday cakes, flowers, bears...oooo, I can't wait! I have just been informed that the forum is actually six years old today 18th march although it was not up and running till 1st April, but six years, I thought it was five. Hear, Hear...or is it "here, here"...now I'm all confused...wait how about...Three cheers. Yeah, that works. Rob and I had a similar thing, I noted it was when I tried to cut and paste some of the content. and I'm assuming there is a gremlin in the works on the new offering. Fingers crossed when the next version is updated this will cure the problem. I noticed that there are certain words/paragraphs it does not like, I have yet to work out what the words or paragraphs are tho, I just know that when I put in the entire text it doesn't always work but then I change a few words and move things around a bit, leave some bits out then it will work then. very odd. I had issues with pound signs and dollar signs.